16 units are packed in 1 carton. 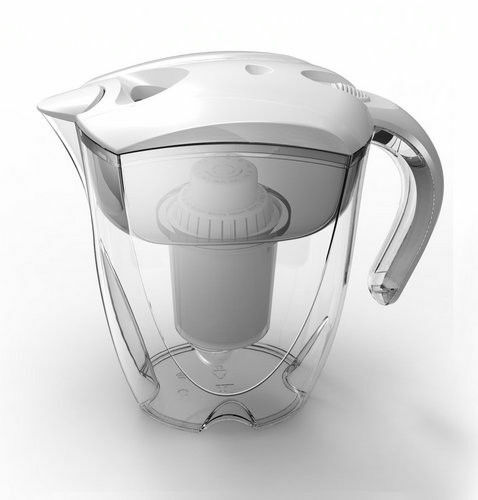 The Alkaline Jug filter gives the user alkaline water benefits. It acts as an alkaline water ioniser for your tap water turning it into mineral rich health promoting water which is alkaline in pH and has antioxidant properties. The Jug comes with 2 cartridges each cartridge will last for 800 liters of filtered water before requiring replacement. If there is high levels of hardness then the cartridges may require replacement more frequently. The alkaline antioxidant Jug is now the most cost effective way for people to enjoy the benefits of drinking filtered alkaline antioxidant water. Alkaline ionized water has been credited with having beneficial properties in the treatment of many diseases in addition to helping healthy people maintain their good health with high levels of vitality. The following are some of the areas where alkaline ionized water has been used for many years in Oriental countries and increasingly now in the Western world as its benefits become better known. It has been used in Japan and Korea for in excess of 40 years. EHM Group Ltd, has been specializing in water treatment & healthcare products for many years. With years of endeavor, EHM has developed to be a manufacturing, selling, and after-sale service integrated Hi-tech enterprise. EHM Group Ltd own comfortable working environment, sophisticated production and testing equipments, excellent quality management and a solidary & high efficient management team. We are in chase of strict management, super-level quality. Most of our products passed BV, CE and SGS certificates. At the same time, we possess design patents of some of them. Our products and EHM brand have won great reputation both domestic and abroad, we established partnership witha a lot of brand-renowned companies, internationally, and our products are sold to Europe, North & South America, Africa and Southeast Asia over 50 countries and regions. Pursuing the management idea of "Technology as root, staffs as fundamentality", we will try our best to meet customers' requirements. We can meet the newest needs and create the value for clients by leading market, advanced technology and equipments, excellent work arts, good quality and supply chain. For its vendor, the benefits of EHM ability and high-tech manufacturing solutions include substantially shortened time-to-market, low manufacturing cost, improved asset utilization, optimized product, flexible cooperation forms and various preferential policy of government. EHM is dedicated to providing its vendor with consistently high level of service and innovative solutions in product engineering, cost, reliability and on-time delivery. To assure that highest quality standards are met, Design For Quality, Design For Reliability and Design For Safety technologies are implemented throughout product development. Our workers are trained to understand E-healthmanufacturer(EHM) quality commitment and become a part of the total quality solution. As a part of our commitment to continuous improvement, the Customer Satisfaction Surveys uses the input to constantly upgrade its performance levels.